A 16-year-old schoolgirl was set to be charged Tuesday with raising money to support the Daesh terrorist group, Australian police said, warning of a "trend of teenage children" involved in such activities. "We will be alleging that they were involved in obtaining money to send offshore to assist Daesh in its activities," Burn told reporters in Sydney. "The 16-year-old girl is not somebody who is well-known to us, however it is disturbing that we are continuing to see a trend of teenage children involved in activities that they should really not be involved in at all." 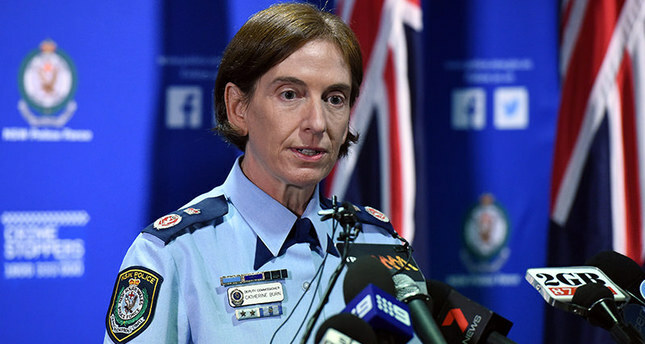 The charge of getting funds to, from or for a terrorist organization, which the Australian Federal Police said the teenage girl was also expected to face, carries a maximum penalty on conviction of 25 years in prison. Burn would not say how much they allegedly collected, but added that a "number of people in this country" were raising money to finance terrorism and then send it offshore. Canberra has been increasingly concerned about home-grown terrorism and raised the terror threat alert level to high in September 2014. Burn said police were working to identify "all those things that might have been involved in her getting to this position".